What Is the Average Yield of Tomatoes Per Plant? What Is a Marmande Tomato? How Fast Do Tomatoes Grow Hydroponically? How Many Tomatoes Grow on the Average Plant? Can You Plant Tomato Plants in August? Which Tomato Is Meatiest to Grow? Can Roma Tomato Seeds Be Saved? Can You Plant Tomatoes in the Same Place Two Years in a Row? 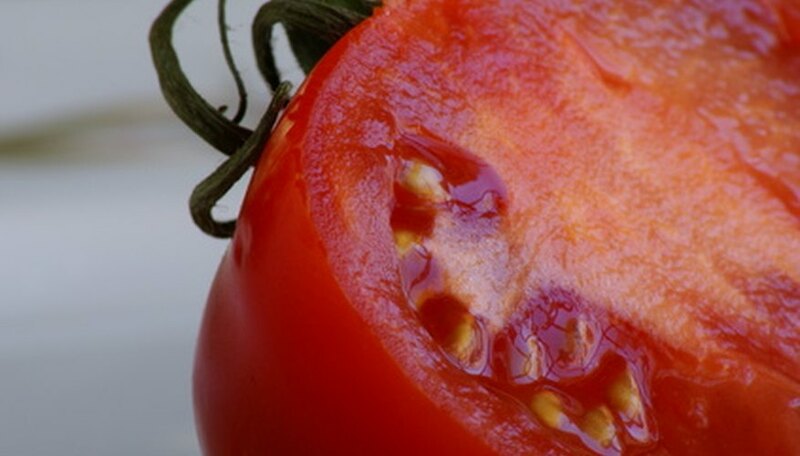 Where Were Tomato Plants First Discovered? 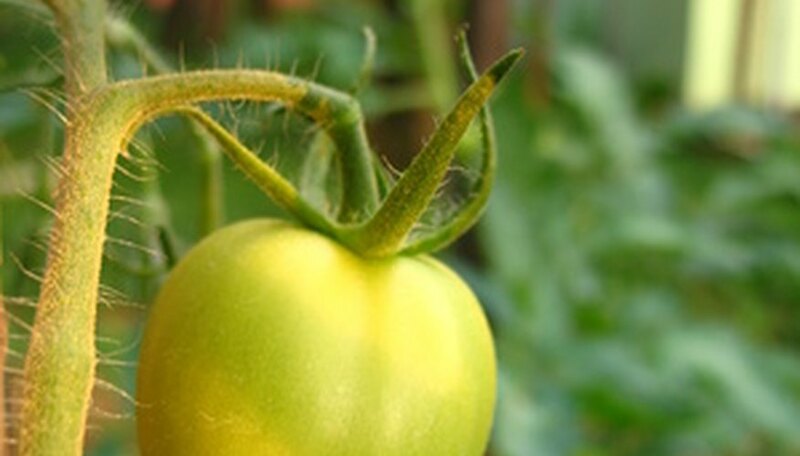 Skip the cages, the trellis and the pruning--this summer, plant determinate tomatoes. Determinate tomatoes, also called bush tomatoes, don't grow taller than 6 feet. These compact varieties mature faster, with an average of 60 days. And their fruit tends to ripen all within a few days, which is handy if you're planning to can or make large batches of sauce. 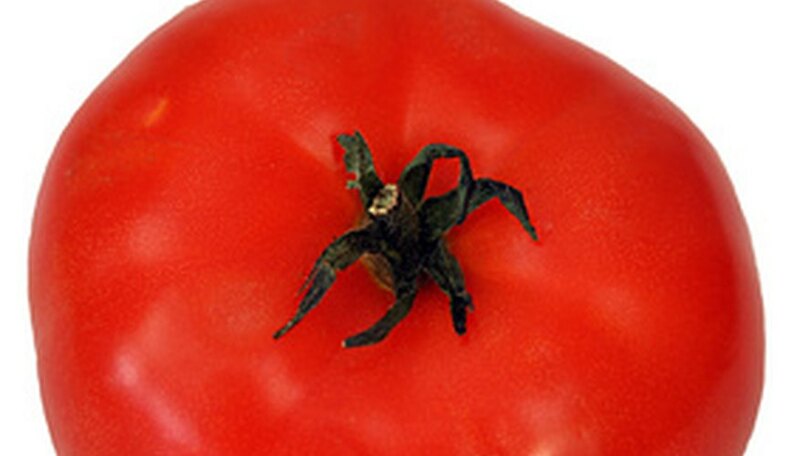 Beefsteaks are big, big tomatoes: one of their slices can easily cover a sandwich. Some plants produce fruits weighing more than 2 lbs. Because they are so large, they will take longer than smaller-fruited types to mature. Determinate varieties include New Yorker, Bush Beefsteak, Riviera and Reiner. Plum or paste tomatoes are pear-shaped, with few seeds and meaty flesh. They are used most often for canning and making sauces. Determinate varieties include Roma, Cream Sausage, Ethiopia Roi Humbort, Principe Borghese and Roughwood Golden Plum. Perfect for containers or small gardens, cherry tomatoes have small, round fruits that are often used in salads. They generally produce their fruit in large clusters, and they're known for their abundant harvests. Determinate varieties include Alaska, Northern Delight, Sprite, Small Fry, Balconi Red and Falcorosso. There are hundreds of other varieties, but popular "standard" determinate tomatoes, which average 4 to 6 oz., include Burbank, Homestead, Manitoba, Siletz, Celebrity, Sunrise, Bush Champion and Rutgers. 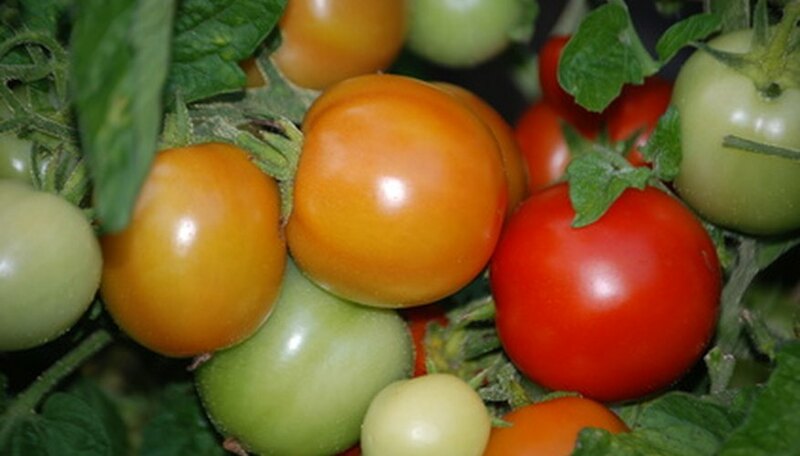 As the name indicates, Early Girl is an early-ripening tomato, maturing in 57 to 63 days. The fruits are red and soft when mature. The tomatoes weigh 4 to 6 oz. on average and are globe-shaped and even in size. Early Girl tomatoes are resistant to fusarium and verticilium wilt diseases as well as skin blemishes, making them a good choice for novice gardeners. Like Early Girl, Better Boy tomatoes are resistant to verticilium and fusarium wilt; they also resist root-knot nematodes. The fruits reach up to 12 oz. in weight and mature in 72 days, according to the University of Illinois. The plants have a high yield of good quality fruits that resist cracking. 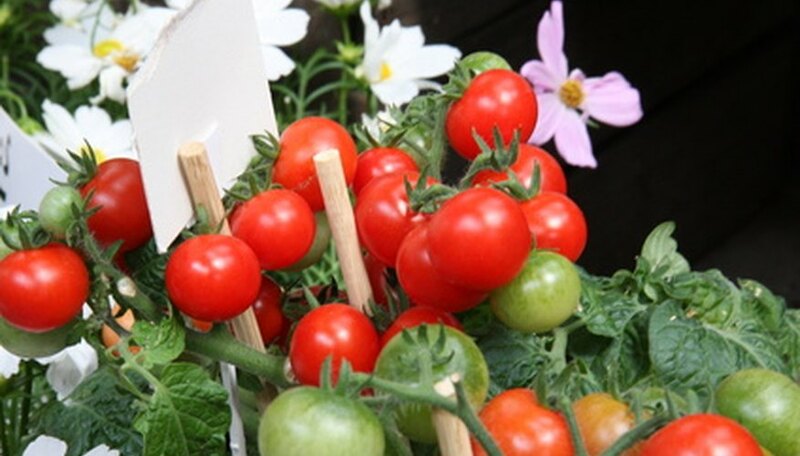 Sweet 100 produces clusters or hands of red cherry tomatoes. Each tomato averages 1 inch or smaller in size. The fruit matures in 70 days and is resistant to verticilium and fusarium wilt. Sweet 100 tomato plants are suitable for container gardening or hanging baskets. Developed at South Dakota University, Golden Delight plants bear a yellow fruit 3 inches in diameter. The plants mature in 70 days. The tomatoes may crack somewhat but have a nice flavor, rich gold color and uniform globe shape. Check container for proper drainage holes. Add holes, if applicable. Fill container 3/4 full of quality potting soil. Amendments to soil should be made before planting instead of heavily fertilizing after planting. Tomatoes need a balanced soil, high in phosphorus to help with strong stem growth and lower in nitrogen than many other plants. Too much nitrogen will cause lush greenery and little to no fruit production. Place stake if growing a variety that suggests staking for support. By placing the stake first before planting, you eliminate the risk of damaging roots. Remove seedling from the package and place in the center of the pot, close to the stake. Fill in with potting soil to just below the top of the pot, burying some of the stem. Water at the soil level, keeping the soil moist but not soggy. Horticultural technicians have recorded an average of about 9 lbs. of tomatoes per plant for heirlooms in North Carolina; 8 to 12 lbs. for tomatoes grown in high tunnels--or impermanent greenhouses--in West Virginia, 8 to 13 lbs. for Romas in Pennsylvania, 10 to 12 lbs. for greenhouse tomatoes in Kentucky, and 4 to 10 lbs. for slicers, 4 to 5 lbs. for plum tomatoes and 2 to 7 lbs. for cherry tomatoes in Washington state. Choose a Roma tomato that is green or partially green in color. Select green tomatoes when they will not be used or needed immediately. Place the green Roma tomatoes in a warm location. Choose a window sill or table that receives at least partial sunlight during the day if possible. Arrange the Roma tomatoes so they are a single layer deep. Turn the tomatoes every day or so to promote even ripening and help prevent soft or damaged spots. Allow the Roma tomatoes to slowly ripen and develop flavor in the warm and sunny location. 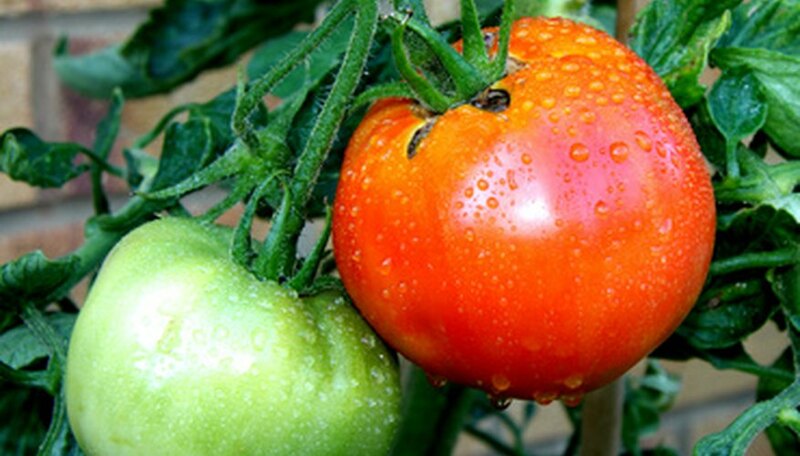 Watch for the skin color on the tomato to turn from green to light red, indicating it is ripe. 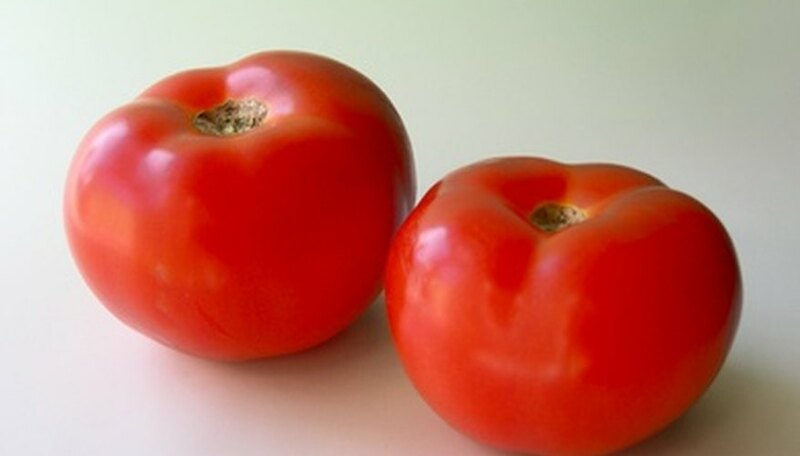 Place the Roma tomatoes in the refrigerator once they have ripened. Put the tomatoes in the crisper of the refrigerator, if possible, to allow them to chill several hours before serving. Marmande tomatoes grow about 4 feet tall, though they are vining tomatoes and so they may grow taller given the right conditions and a good support system. This narrow-leaved plant produces flat, firm, lobed fruit with dark red skin that weigh in at about 6 oz. once fully mature. This is a highly prolific plant so blooms and fruit should be plentiful if you grow them in a low-stress environment. 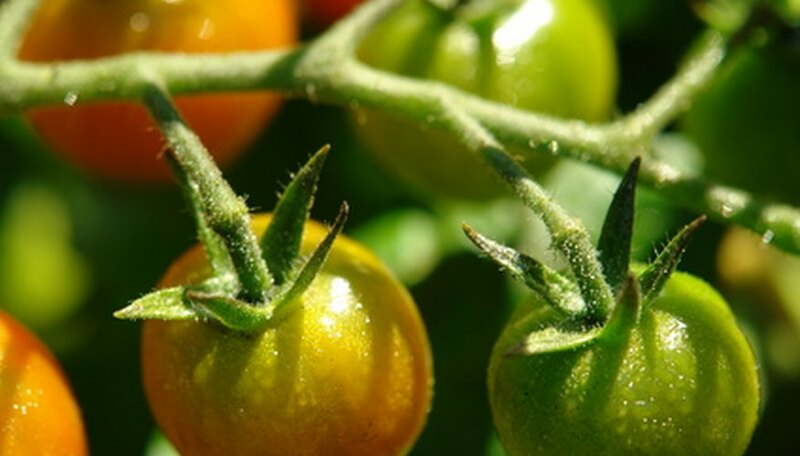 Vining tomatoes such as marmande are referred to as indeterminate, since they will grow taller throughout the season so long as they have a support system to climb. This means they need to be grown in a tomato cage or up a trellis. Tomatoes don't have great means of attaching themselves to supports, so growers tie them to their supports. Marmande mature in 65 to 68 days, and are resistant to common tomato diseases such as verticillium wilt, fusarium wilt and alternaria fungus. Marmande tomatoes have a strong flavor and can be eaten fresh with little to no other flavorings or ingredients. "The French Market: More Recipes from a French Kitchen" by Joanne Harris and Fran Warde recommends a Marmande tomato salad in which these tomatoes have only a drizzle of olive oil and a few herbs to accompany it. Super Marmande tomatoes are prolific like the original, but produce fruits from 5 to 8 oz. in weight. They are semi-determinate in growth habit, so the plant is more compact (though it still needs staking to support those large fruits). 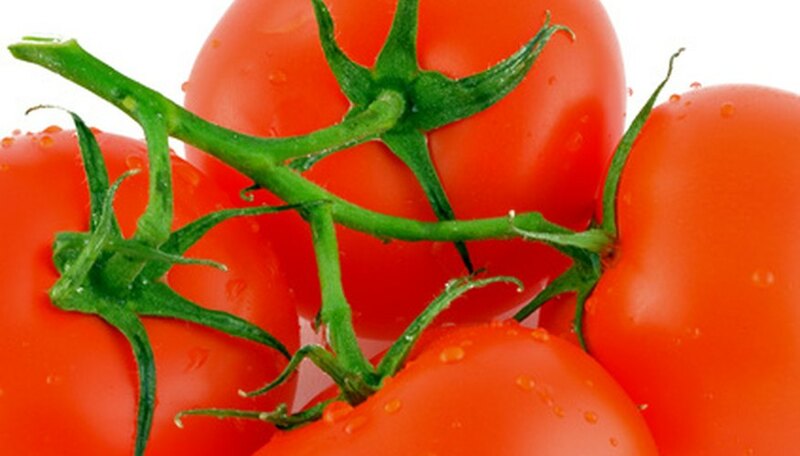 It is also resistant to fusarium and verticillium, and the flavor is lively in fresh tomato recipes. However, Super Marmande tomatoes are not heirloom tomatoes. Pick a planting site that receives at least six to eight hours of full sun. Amend the soil with two inches of composted manure. Work into the soil a slow release fertilizer that contains 19-5-9 of nitrogen, phosphorus, and potassium. To avoid disease when planting a second fall crop, plant new plants in a different spot than the spring planting. Set plants in the ground 1 to 2 inches deeper than the top of the root ball. Bury stems up to the first leaves. Place 4 to 6 inches of organic mulch around the base of the plant. Pick tomatoes before the first frost. Place tomatoes that are still green in a cardboard box that is lined with newspaper. Cover and store them in a cool place. Check tomatoes daily for ripeness. It takes tomatoes about 10 to 14 days to germinate inside their starter cubes before you can transplant them to an indoor hydroponic garden. Tomatoes will appear approximately 6 weeks later and can be harvested 2 to 4 times weekly after that. The number of tomatoes that can be harvested from one plant depends on several factors, including the type of tomato plant, the length of the growing season, the weather and the area where your tomato is planted. A large beefsteak tomato plant may only produce three to four tomatoes. However, a small cherry tomato plant may produce as many as 10 to 20 tomatoes per plant. Dampen the potting soil or sand and fill the small pots or cups with it. Cut 4- to 6-inch pieces off the tomato plant using clean sharp scissors. Suckers and stem tips do best. Remove any flowers or buds from the cutting and trim off the bottom leaves, leaving only the two top leaves on each cutting. 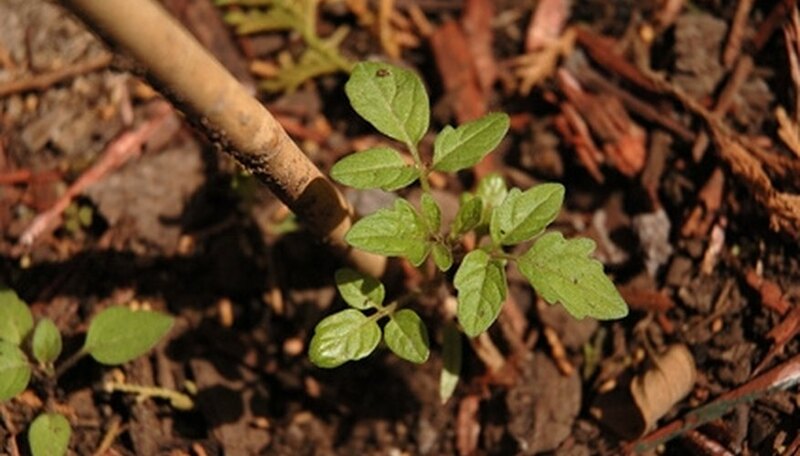 Use a small twig, dowel or pencil to punch a hole in the prepared soil. The exposed stem should be buried, leaving a small stem and two leaves above ground. Place the stem of the cutting into the hole and firm up the soil around the cutting. Put the cuttings in a warm place where they will receive indirect sun. Keep the soil moist. Move the new plants outdoors into the sun for part of the day after about a week. Increase exposure daily until the plants are staying outside for the entire day. This can be done over the course of a week. Transplant the tomatoes to your garden or container. Keep them watered well, but not wet, until the plants are established in the garden. Tomatoes are often planted in August in subtropical regions. When to plant tomatoes depends on the weather in your area. Allow at least 100 days from transplanting until the first expected frost in your area. Prune any branches without blossoms or fruit eight weeks before the first expected frost. Using sharp pruning shears, remove the branches where they emerge from the main stem. Pinch off or snip off any remaining blossoms five weeks before the first expected frost, as they won't have time to develop fruit before freezing weather arrives. Prune off the leaves around each green tomato to allow sunlight to the ripening fruit. Heat from the sun is necessary for tomatoes to fully ripen. Prune off entire vines as the fruit ripens and is picked. Removing vines and stems allows the plant to focus on the still-ripening fruit. Cover the plants with a heavy blanket if a light frost is expected. This will protect the remaining fruit. Pick any remaining green tomatoes if a hard frost threatens, and allow them to ripen indoors. Remove the stem end of the tomato by cutting a thin slice from the tomato. Place the tomato on a cutting board and cut the tomato in half by making a cut through the fullest part of the tomato as though you were slicing the tomato for sandwiches. Remove seeds if preferred. Scoop seeds free with the end of the knife or a spoon. Place the tomato cut-end-down on the cutting board. Use a sharp serrated knife to slice the tomato into evenly sized slices. Hold the tomato in place with one hand and slice straight down to the cutting board. The width of the slice determines the size of the cubes when completed. Lay the slices on their sides and slice cross ways making even strips in the same width as your original slices. Turn the cutting board and cut across the strips to create even cubes of tomato. Plant tomatoes after the last chance of frost has passed. If a late-season frost threatens, cover young transplants or bring plants indoors. If starting tomatoes inside, slowly increase their outside exposure before ground planting. Beefsteak tomatoes are considered to be one of the meatiest tomatoes developed to date. These tomatoes are great for sandwiches, eating as a side with meals or enjoying raw. Some of the best known varieties of beefsteaks include Big Beef, Black Krim, Brandywine, Cherokee Purple and German Johnson. Roma tomatoes are heirloom tomatoes that produce true from saved seed. Harvest seeds from a vine-ripened tomato. Squeeze the seeds out into a small, open container and allow them to sit to ferment for a few days. Wash them carefully and dry on a paper towel. Tomato plants (Lycopersicon esculentum) should be grown in a different location each year. If they are planted in the same place for two or more years, problems like Verticillium wilt fungus and root knot nematode can build up. 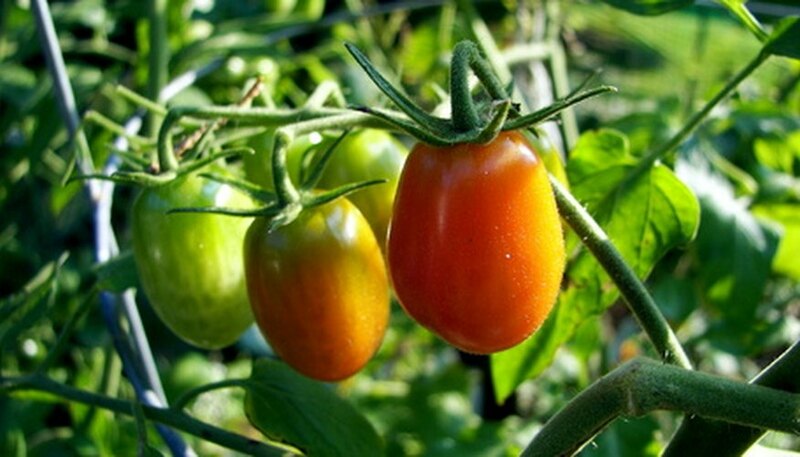 Tomatoes should also not be planted where their relatives, potatoes, peppers and eggplant, have grown, since they share many of the same problems. 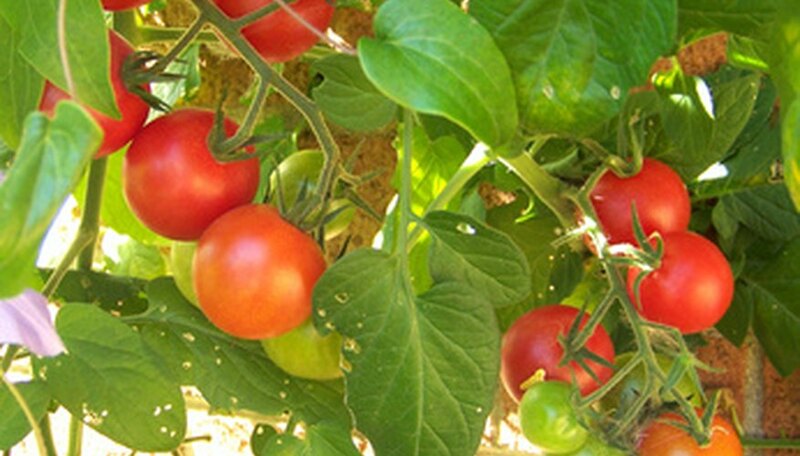 The proper time to plant tomatoes depends upon the area where they are planted. The normal time to plant tomatoes in the North and West is in the spring, in May or June. However, in colder temperatures in the North it may be best to wait until July. The Sacramento Valley falls within USDA climate zone 9, where the last spring frost typically falls around the middle of March. When frost occurs, it is usually light and the temperature rarely drops below 20 degrees Fahrenheit. However, young tomato plants will die if you expose them to temperatures that fall that low. 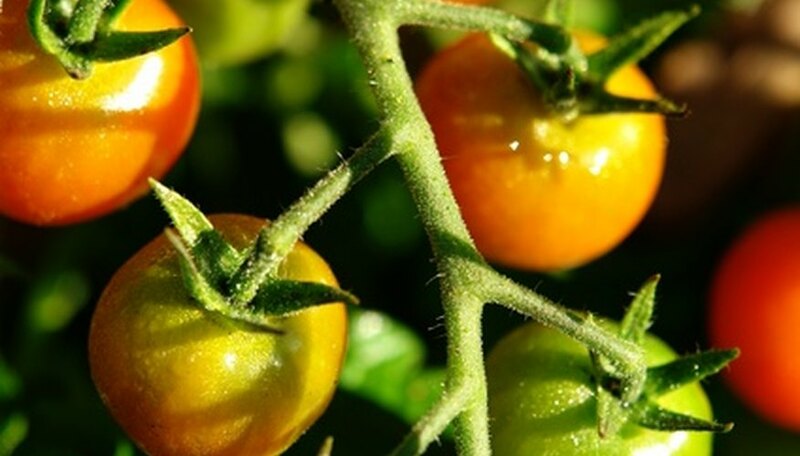 To be on the safe side, and because tomatoes will not begin to produce fruit until nighttime temperatures rise to over 50 degrees Fahrenheit, plant young tomato plants in late March or early April. However, you can begin tomato seeds indoors in a sunny, protected area six to eight weeks before the final spring frost. Not all types of tomatoes will thrive in the hot Central Valley summer climate. The Redwood Barn Nursery in Davis, California, recommends growing the Roma varieties of tomato because they perform like a "real workhorse" in hot climates. Another tomato that will do well in Sacramento Valley is the solar set, a hybrid developed in Florida that produces 9 oz. fruit even when the mercury soars into the 90s. Start your heirlooms from seed six to eight weeks before the last frost in your area. Pick a type in line with your available container size. Place seeds in cell flats supported by trays filled with seed-starting mix. Cover the seeds with ¼ inch of the seed-starter mix. Keep the soil moist, but not wet. Place a heating mat under the cell flat and a clear plastic cover over it. After the seeds germinate, keep them under a fluorescent grow light adjusted to hover 2 to 4 inches above their leaves. Move the young plants outdoors during daytime to harden them before transplanting. Place your container in the sunniest possible spot outside, ideally with some protection from the wind. Tomatoes grow best with eight to 10 hours of sun daily and need at least five to six hours. Add soil-less potting mix and water-retaining crystals to the container. Place landscape cloth or black plastic mulch cut to the shape of container on its surface. Cut an X-shaped slit for the seedling. Transplant the young plant into the container through the slit. Firm the soil around the stem to its first set of true leaves. Bend a reinforcing wire into a circle to create a cage to support the tomato plant. Fertilize every two weeks with liquid organic fertilizer or every three to four weeks if using a granular fertilizer formulated for tomatoes. Water every morning or even twice daily in hot weather. Water the soil without splashing the plant’s lower leaves to avoid fungus diseases. 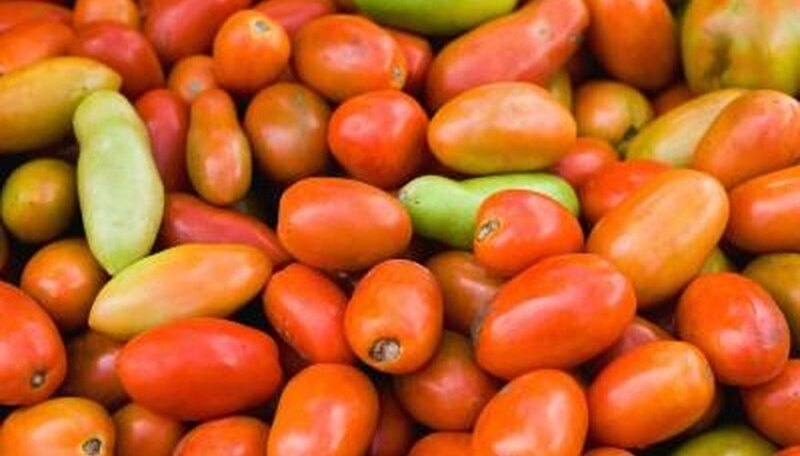 Tomatoes (Lycopesicon esculentum) first originated in South America, particularly in the countries of Bolivia, Ecuador and Peru, according to Texas A&M University. Brought to Europe by explorers in the 1500s, tomatoes were first cultivated in Italy from where their cultivation eventually spread throughout the continent.